New Year Fivehundreds (500 km, will be not counted in overall score) will have server start at January 1st, 2011 at 19:00 CET (18:00 UTC), task with PDA, server with no password, briefing is available now. Thanks goes to all pilots for joining us here in the sky over Liptov and special thanks to Radek (RM) for hosting servers and tasksetting. See you all in next contest at our website! Big thanks goes to Miloš "Cadfael" Koch (MK) for preparing for us such a great sceneries as SloveniaHD. Virtualsoaring.eu team wish you Merry Xmas and Happy New Year 2011! 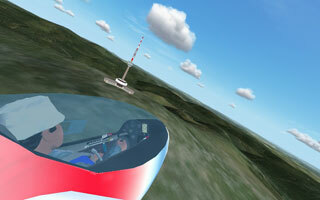 Welcome to next small virtual soaring competition - 3rd edition of Xmas Cup. Length of tasks is about 200 km (start and finish in Lesce-Bled airport), we will race in STANDARD CLASS without PDA, serverstart always at 20:00 CET (19:00 UTC). Crash is scored with 0 points. Overall results is simple count of all 4 tasks. We are planning also New Year Fivehundreds - 500 km. This 500 km task will be not counted, but results will be here online too. 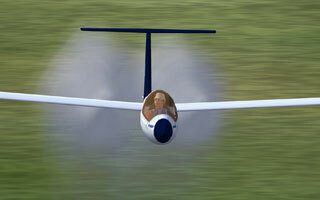 Attention: choose carefully glider type in registration - with registered glider type you have to fly all task! More info at competition rules. This competition is continued line of successful competitions like Liptov Shepherd GP, Praděd GP Gliding, Raven Competition, Liberec Eighteens, Kiwi Race and OCC. Please - give your attention to rules! Registration is needed, server password will be published in briefing. After flight IGC file must be uploaded to this website. More informations about contest in competition rules.